The Toyota Tacoma is an icon in the midsize pickup truck segment that promises the perfect combination of power, fuel economy, capability and innovation. With the latest edition – the 2019 Toyota Tacoma – the Tacoma midsize truck is more attractive, more advanced and more capable than ever. Learn more about the Toyota Tacoma and how it stacks up against a brand-new competitor in this 2019 Toyota Tacoma vs 2019 Ford Ranger comparison. Drivers who choose the 2019 Toyota Tacoma as their next truck will have a choice of six trim levels – SR, SR5, TRD Sport, TRD Off-Road, Limited and the trail-rated TRD Pro – that can be tailored to fit your lifestyle. 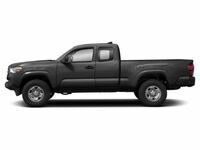 Tailor-made for work or play, the Toyota Tacoma is available in Access and Double Cab body styles with a 6.1-foot standard bed or a 5-foot short bed. 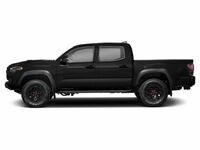 Toyota Tacoma entries come standard with rear-wheel drive and will add a 4WDemand part-time 4WD system to upgrade performance. An affordable price tag, a capable design with potent powertrains, a bold style and a smorgasbord of innovative features will make the Toyota Tacoma stand out in this 2019 Toyota Tacoma vs 2019 Ford Ranger comparison. With a price tag that starts at $25,550 and a spec sheet that features projector-beam headlights, LED Daytime Running Lights, 16-inch steel wheels, an integrated rear spoiler, power windows, a rearview camera and a 6.1-inch Toyota Entune™ touchscreen infotainment system with Bluetooth and USB ports, the Toyota Tacoma promises incredible value. All 2019 Toyota Tacoma entries come complete with Toyota Safety Sense™ collision-prevention technology that includes a Pre-Collision System with Pedestrian Detection, Lane Departure Alert with a Sway Warning System, Automatic High Beams and Dynamic Radar Cruise Control. Upgrades to the Toyota Tacoma spec sheet include a premium leather interior, a power moonroof, a Qi wireless charging system, integrated navigation, a 12-speaker JBL® sound system, a blacked-out SX Appearance Package and Toyota Smart Key® with push-button start. 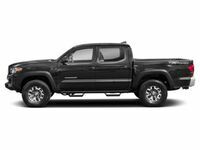 Toyota Tacoma models come standard with a 159-horsepower 2.7-liter four-cylinder engine that can be paired with a six-speed manual or a six-speed automatic transmission. When paired with the automatic gearbox, the 2.7-liter four-cylinder will achieve 19 mpg in the city and 23 mpg on the highway. An upgrade to the 268-horsepower 3.5-liter V-6 engine will allow the Toyota Tacoma to tow up to 6,800 pounds of cargo. Ford Ranger entries are available with a single powertrain – a 270-horsepower 2.3-liter EcoBoost® four-cylinder engine. Visit Downeast Toyota to get behind the wheel of the 2019 Toyota Tacoma today!